Over the years, several have taken home entertainment's top prize. Born Edith Hol Sondergaard in Litchfield, Gale Sondergaard won the inaugural best supporting actress Oscar for 1936's "Anthony Adverse." She scored another best supporting actress nod for 1946's "Anna and the King of Siam." In 1940, the "Wizard of Oz" star and Grand Rapids native was honored with a special Academy Juvenile Award for her "outstanding performance as a screen juvenile during the past year." The last recipient of the miniature Oscar statuette (it was approximately 7 inches tall, in contrast to the the normal 13 1/4-inch Academy Award) was Hayley Mills, for 1960's "Pollyanna." The St. Cloud native, born Byron Elsworth Barr, was nominated three times for best supporting actor, winning once. His first nomination was for 1951's "Come Fill the Cup," and he was honored again for 1958's "Teacher's Pet." Third time was the charm — he took home the trophy for 1969's "They Shoot Horses, Don't They?" Todd won the best picture Oscar for producing 1956's "Around the World in 80 Days." The pioneering film producer was born Avrom Hirsch Goldbogen in Minneapolis. Hill was born into the newspaper business — his family owned The Minneapolis Tribune — but he made his mark in film. He earned a best director nomination for 1969's "Butch Cassidy and the Sundance Kid." He didn't win, but he wasn't done yet: he took home the Oscar for his work directing 1973's "The Sting." The Cloquet-born star was named best supporting actress for her role in 1982's "Tootsie." She took home a second Oscar more than a decade later, this time as best actress for 1994's "Blue Sky." Lange is one of a handful of actresses to win in both female acting categories. Minneapolis native Prince snagged the Academy Award for best original song score for 1984's "Purple Rain." The Duluth-born singer took home the Oscar for best original song for "Things Have Changed" from the 2000 film "Wonder Boys." Dylan accepted the award via satellite from Sydney, where he was on tour. "Good god, this is amazing," he said. Dylan thanked the Academy for being "bold enough to give me this award for this song, which obviously (is) a song that doesn't pussyfoot around or turn a blind eye to human nature." St. Louis Park-born Joel and Ethan Coen have received more than a dozen Academy Award nominations for writing, producing, editing and directing, two under the pseudonym Roderick Jaynes. Their most recent is for best adapted screenplay for 2018's "The Ballad of Buster Scruggs." They've won four: One for best original screenplay for 1996's "Fargo" and three for 2007's "No Country for Old Men" — best director, best adapted screenplay and best picture. The Bloomington native won the best animated feature Oscar for 2009's "Up." Docter told MPR News that year he made "Up" in part because he is an introvert. "I have a tendency of wanting to just crawl under my desk and stay there," he said. "And so the idea of floating away in this floating house we had drawn just seemed very alluring and poetic and all." He took home another animated feature film Oscar for 2015's "Inside Out." He was also nominated for original screenplay (going up against the Coen brothers) for "Inside Out." Minnesota native Erickson's job is all in the details. The set designer won the Oscar for production design for 2012's "Lincoln." Erickson was also nominated in the art direction category for 2007's "There Will Be Blood." 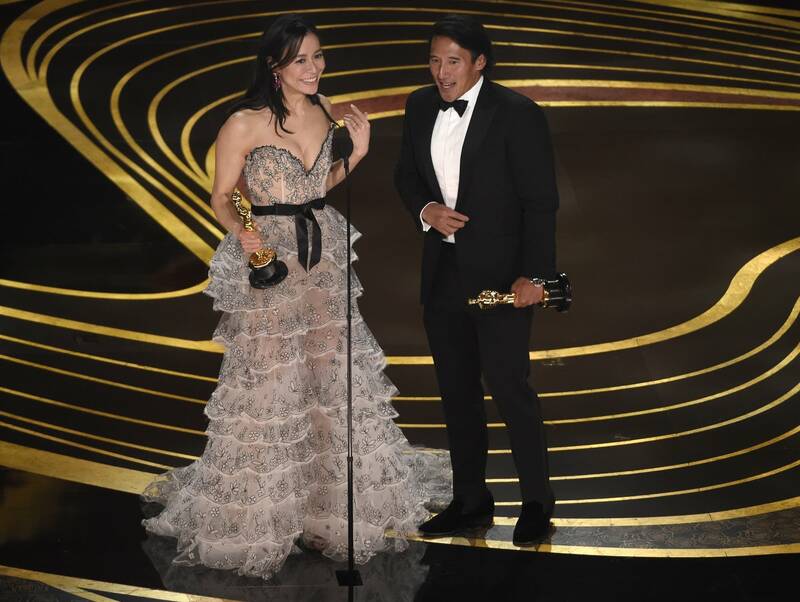 Chin, who grew up in Mankato, Minn., and graduated from Carleton College, won the documentary feature for 2018's "Free Solo." He co-directed the film with his wife Elizabeth Chai Vasarhelyi. It followed rock-climber Alex Honnold as he attempted to ascend the famed El Capitan rock formation at Yosemite National Park without ropes. The Edina native took home the best picture prize for 2018's "Green Book." He also has a previous best picture nomination for producing 2011's "The Descendants." Two-time best supporting actor winner Mahershala Ali (for 2016's "Moonlight" and again for 2018's "Green Book") was a member of the Guthrie Experience for Actors in Training class of 1999. Former CityPages blogger Diablo Cody won the best original screenplay Oscar for 2007's "Juno." She famously wrote the script in the coffee shop of a Target in Crystal. Peter Del Vecho won the best animated feature Oscar for 2013's "Frozen." He reportedly worked at the Guthrie Theater in Minneapolis for nine years. Frances McDormand, who starred in the Guthrie's "Three Sisters" in the summer of 1984 (and who's also married to St. Louis Park native Joel Coen — all of that practically makes her a Minnesotan, right? ), won the best actress trophy twice, once for 1996's "Fargo" and also in 2018 for "Three Billboards Outside Ebbing, Missouri." Mark Rylance, who appeared in several Guthrie productions, took home best supporting actor for his work in 2015's "Bridge of Spies." Several Minnesotans have also been nominated, but went home empty-handed. Some of these nominees weren't born in Minnesota — but we'll lay claim to them, anyway, because they live(d) here. St. Paul native William Demarest landed a best supporting actor nomination for 1946's "The Jolson Story." Sunrise Township's Richard Widmark scored a best supporting actor nod for 1947's "Kiss of Death." Eddie Albert was nominated twice for best supporting actor, the first for 1953's "Roman Holiday" and again for 1972's "The Heartbreak Kid." Born in Illinois, Albert moved to Minneapolis when he was 1. The only American-born actor in "Monty Python's Flying Circus," Terry Gilliam hails from Minneapolis. He earned a best screenplay nomination for 1985's "Brazil." Winona Ryder was nominated twice. The Winona native snagged a best supporting actress nod for 1993's "The Age of Innocence" and best actress nomination for 1994's "Little Women." John Hawkes, who hails from Alexandria, was honored with a best supporting actor nomination for 2010's "Winter's Bone." Minneapolis producer Bill Pohlad scored a best picture nomination for producing 2011's "The Tree of Life." Minneapolis Washburn High School graduate Drew Kunin was nominated for sound mixing for 2012's "Life of Pi" and for 2015's "Bridge of Spies." Melisa Wallack nabbed a screenwriting nomination for 2013's "Dallas Buyer's Club." The Minneapolis native shared it with her co-writer, Craig Borten. 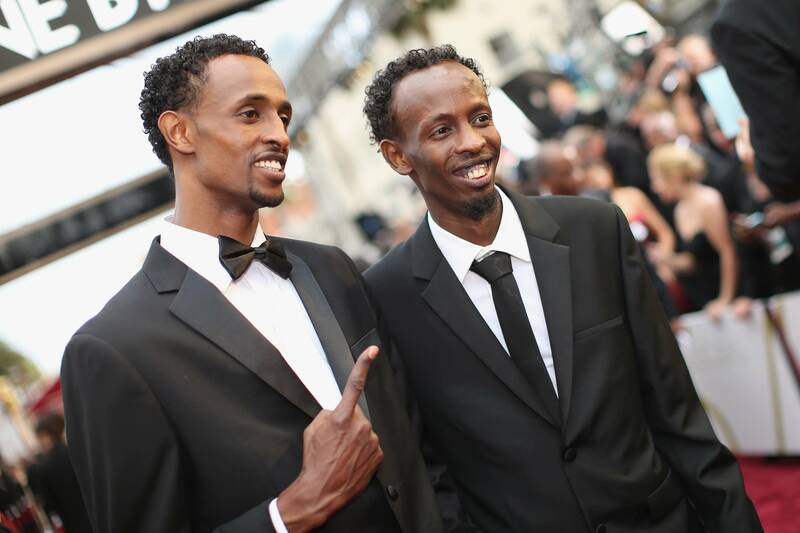 Somali-born Barkhad Abdi landed a best supporting actor nomination for his role in 2013's "Captain Phillips." He starred alongside Tom Hanks and three other Minneapolis actors. Amy Adams, who briefly lived in Minnesota while performing at the Chanhassen Dinner Theatres, has six nominations. Her first was for 2005's "Junebug" in the best supporting actress category. She followed it up with three more supporting actress nominations for 2008's "Doubt," 2010's "The Fighter" and 2012's "The Master." She landed her first best actress nomination for 2013's "American Hustle." She nabbed another best supporting actress nod for "2018's "Vice."